FYROM parliament approved a proposal to change the country’s name to “North Macedonia”, which brings the deal with Greece a step closer. A total of 80 deputies in the 120-seat parliament voted in favour of renaming the Balkan, just reaching the two-thirds majority needed to make constitutional changes. Prime Minister Zoran Zaev is hopeful this will finally unblock its bids to join NATO and the European Union, which Greece, has opposed due to FYROM’s implied territorial claims to a Greek province of the same name. A referendum on the agreement failed to pass the turnout threshold of 50 percent, leaving it up to the Skopje parliament to settle the issue. The procedure to complete constitutional changes is lengthy and requires several rounds of voting, with Friday’s being just the first stage. The procedure should be completed by January at the latest. 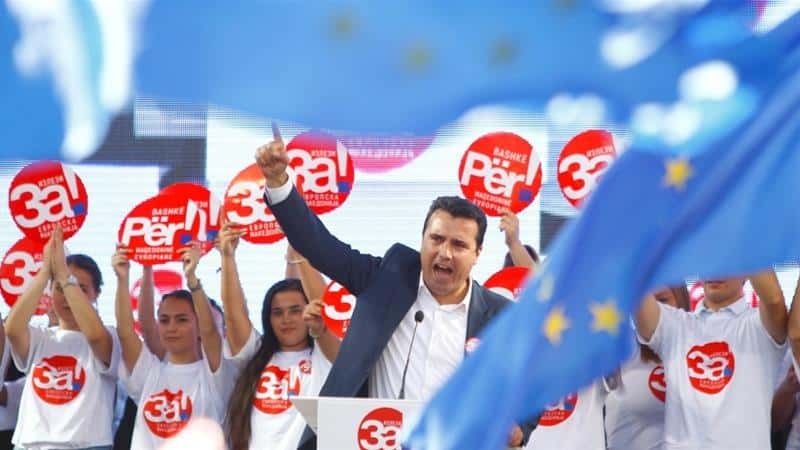 “Today is a historic day for the country,” Zaev said. Once FYROM formally changes the constitution, Greek parliament will also have to vote on the deal.